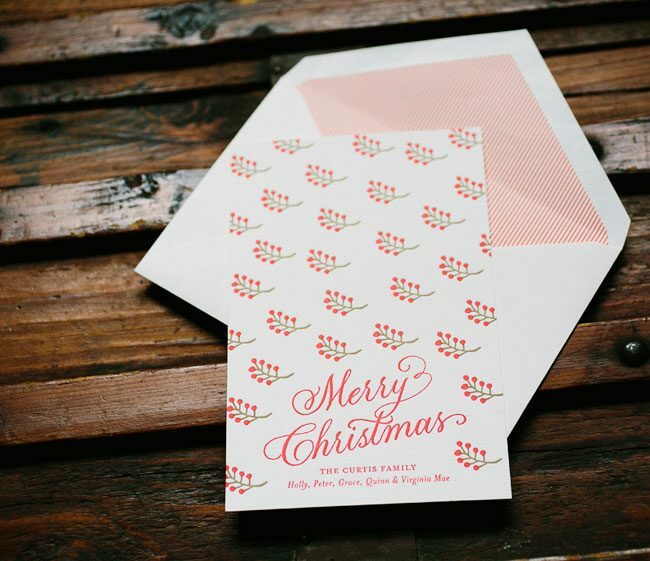 We love creating custom holiday cards and seeing all of the festive patterns and motifs come through the shop, but we’re always especially honored to print holiday cards for our Smock dealers. 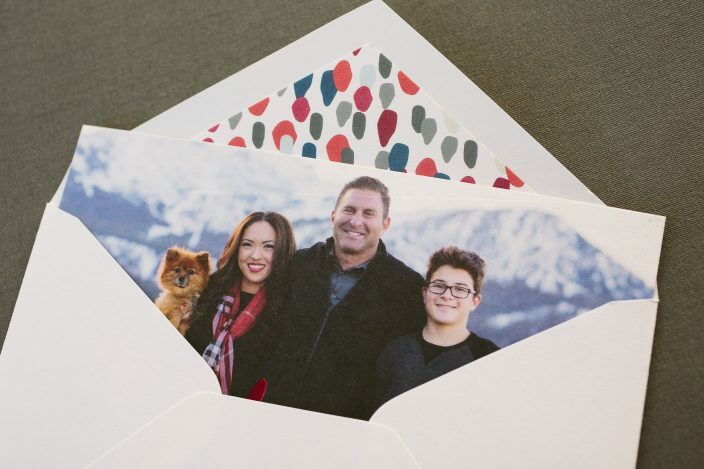 Last year we worked with Sarah Gallante, owner of Pom Paperie in Valencia, California, to create her family’s custom holiday cards. 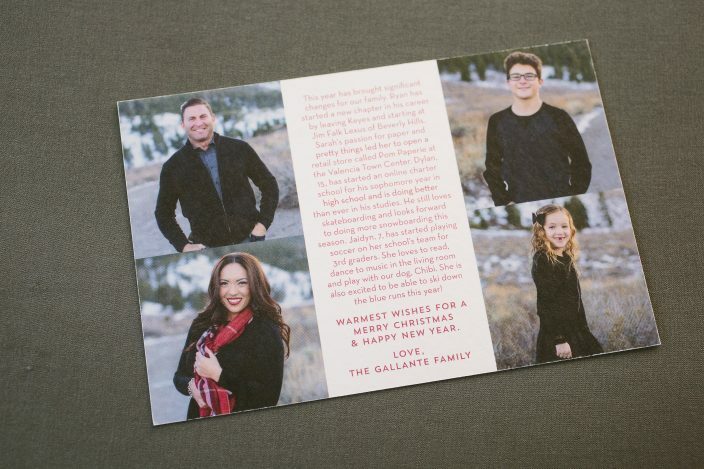 The front of the card featured a group photo of Sarah, her husband, her children, and of course their family dog Chibi in front of the most picturesque mountain scene. 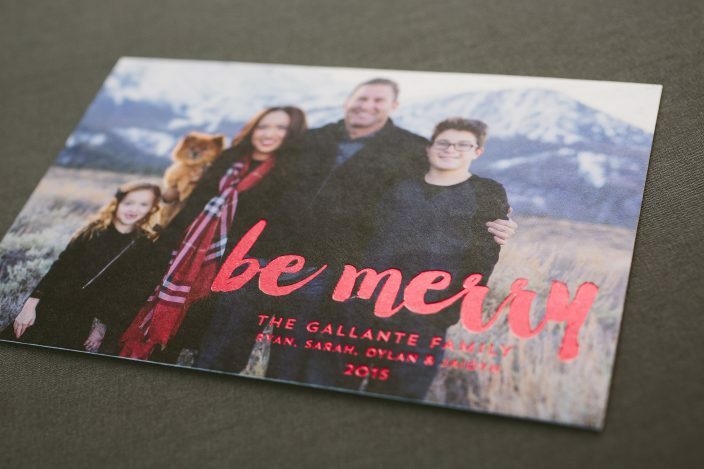 The cards also featured a “be merry” message with the year and family name in red shine foil on the front, while the backside of the card showcased individual portraits and an update on each family member. 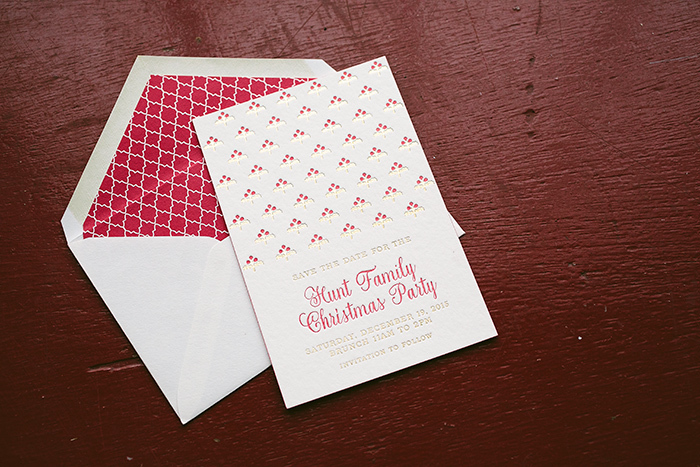 Confetti patterned envelope liners in various shades of red, blue, and gray tied all of the colors from the digitally printed cards together and made for a fun finish! 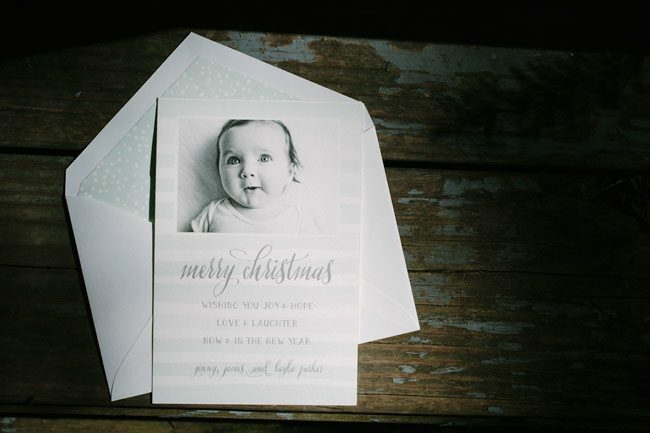 We’ve been busy printing up custom holiday cards over the past few months, so with Christmas just around the corner we thought we’d share a few! 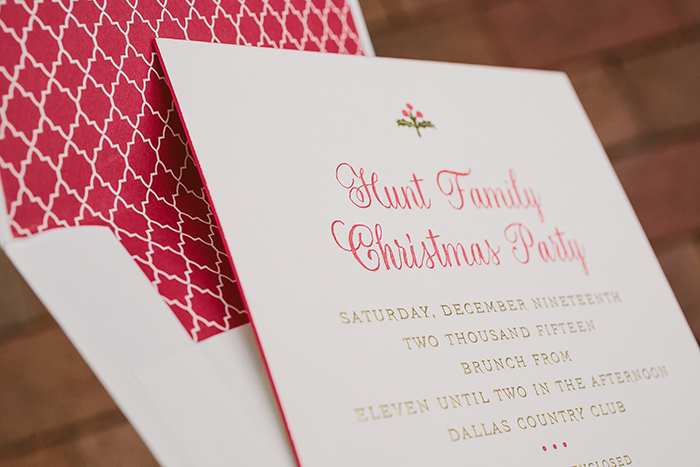 We worked with our friends at Needle in a Haystack to create these custom letterpress Christmas party invitations and save the dates. 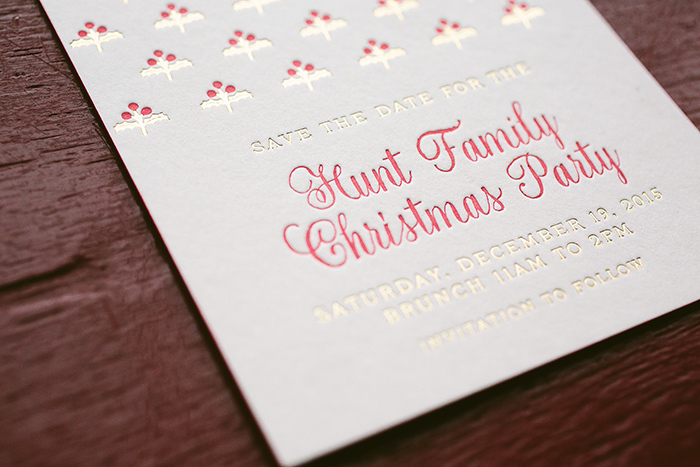 Inspired by our Hamilton design, the invitations were printed on our ultra-thick 3-ply paper and edge painted in deep red for a festive touch. 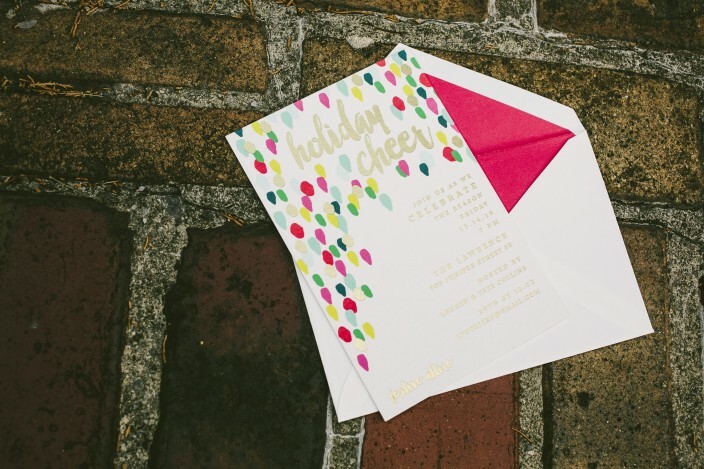 Our 2015 holiday promotions are here! 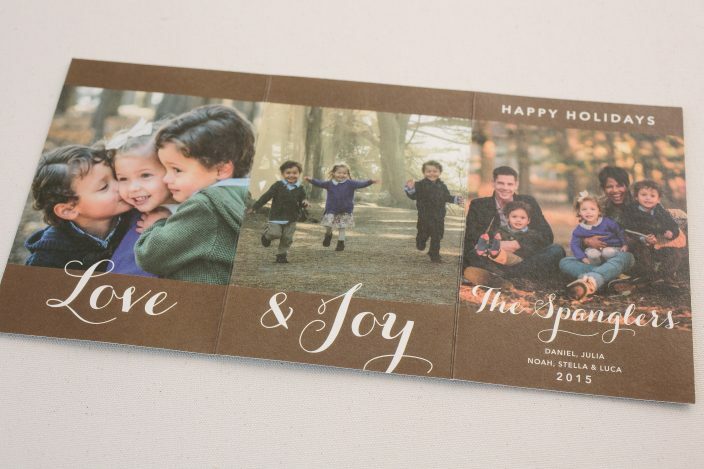 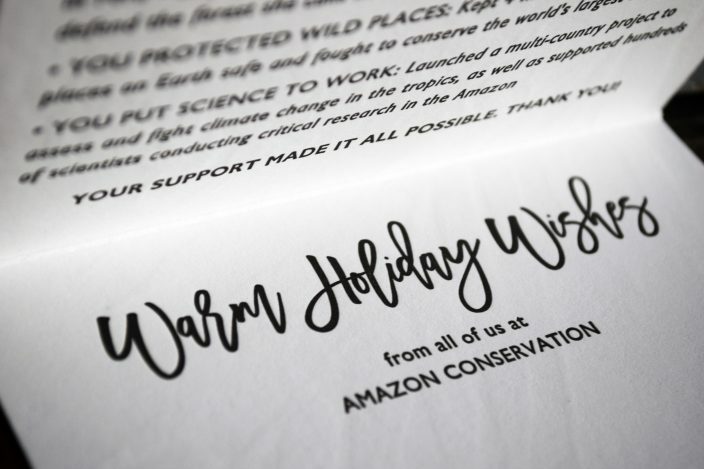 Order your Smock custom holiday cards by December 10th and we’ll digitally address your envelopes for free! 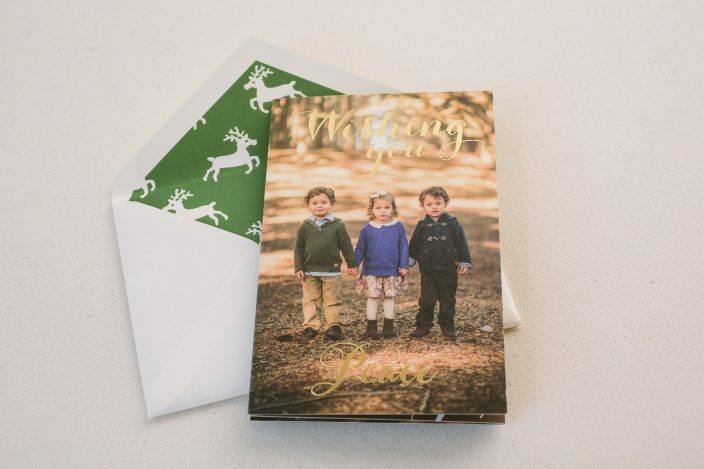 We’re also offering complimentary rush service on custom holiday card orders. 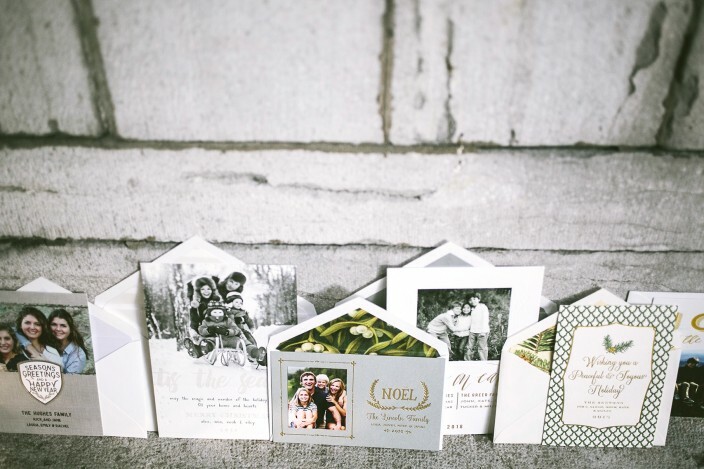 Visit a Smock dealer near you to view our new holiday designs in person. 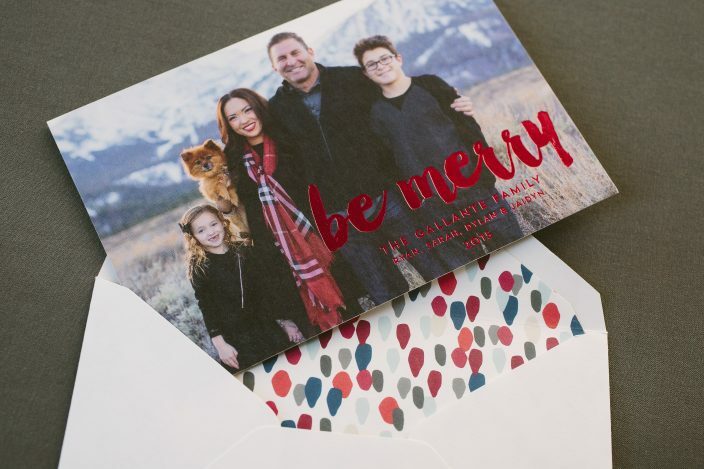 As always, everything is completely customizable — add a photo, change the colors, create a foil stamped envelope liner, use one of our exclusive calligraphy fonts, or take advantage of our countless other ways to customize to make a one-of-a-kind holiday card. 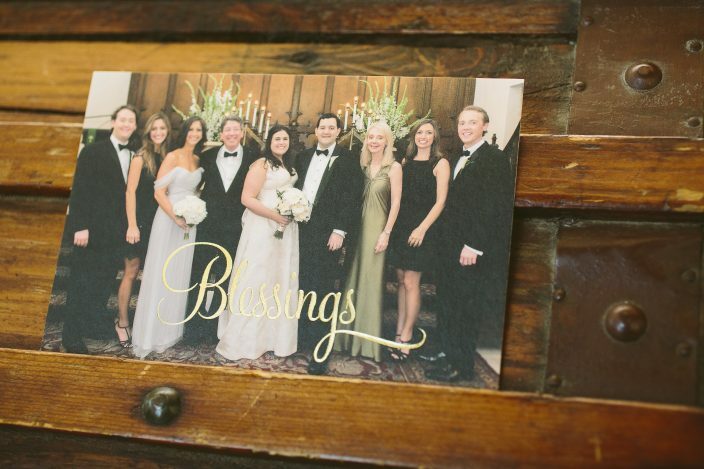 Free Rush Service on Custom Holiday Cards now through December 10! 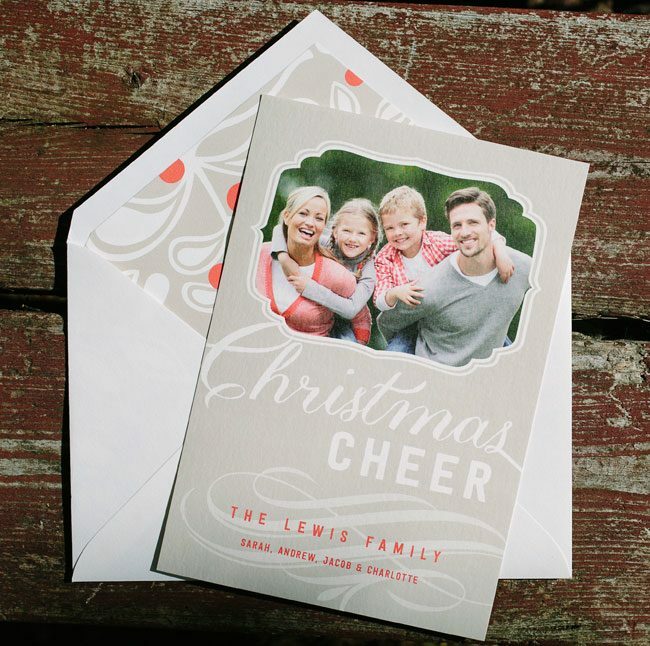 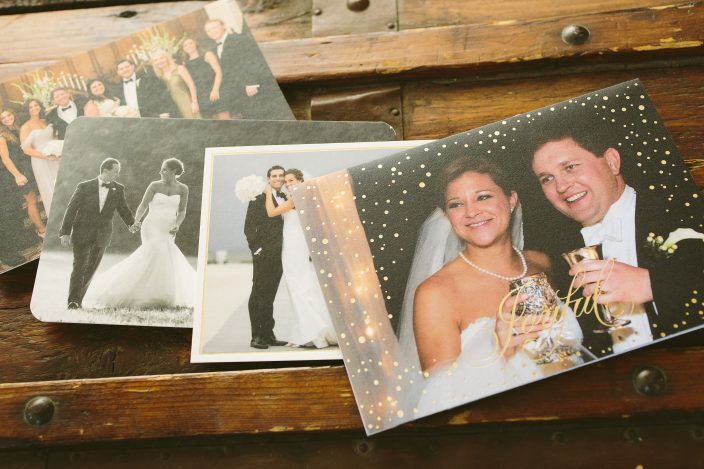 Our newest collection of custom holiday cards is here! 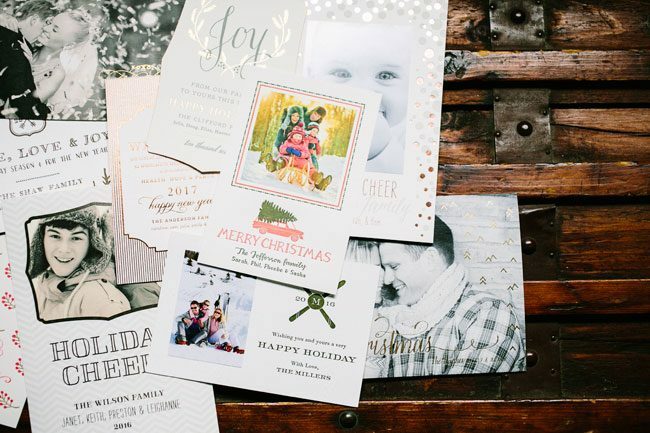 We’ve added 16 new designs, and they’re all completely customizable – change the inks, fonts, layout, and more to make your own eye-catching holiday cards. 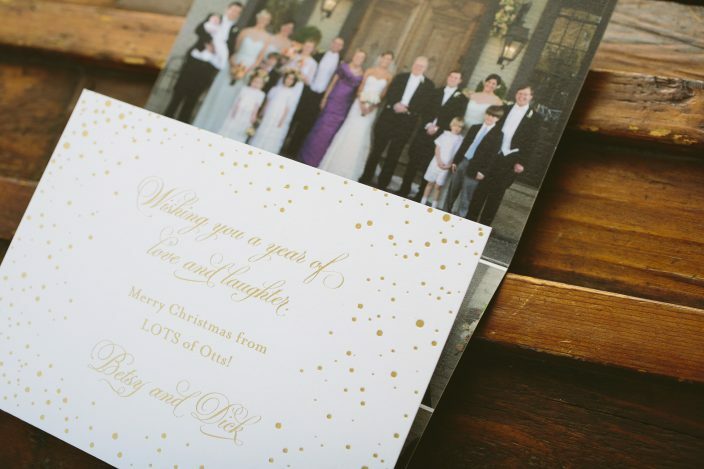 We’re offering free rush service on all custom holiday cards if the order is placed before December 10th. 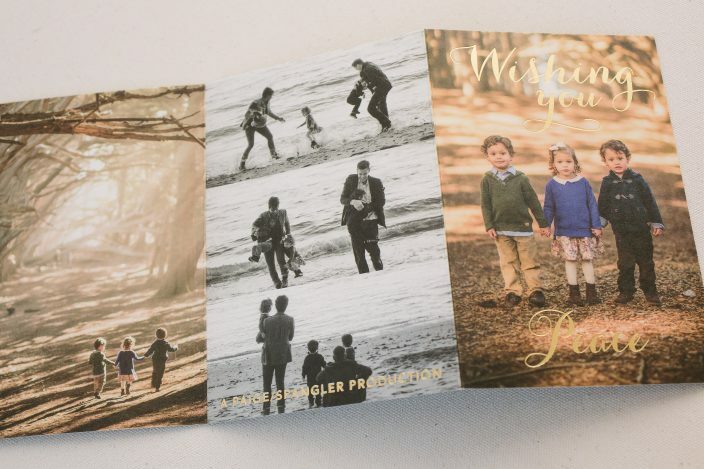 Take a look at some of the new designs below, and be sure to visit a Smock dealer near you to get started on an order today! 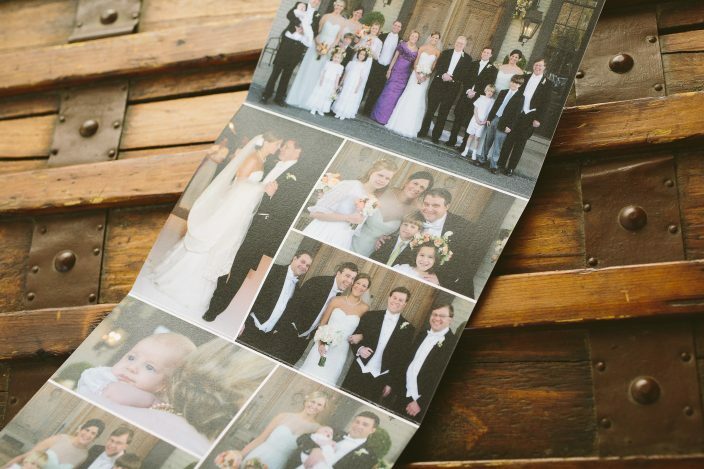 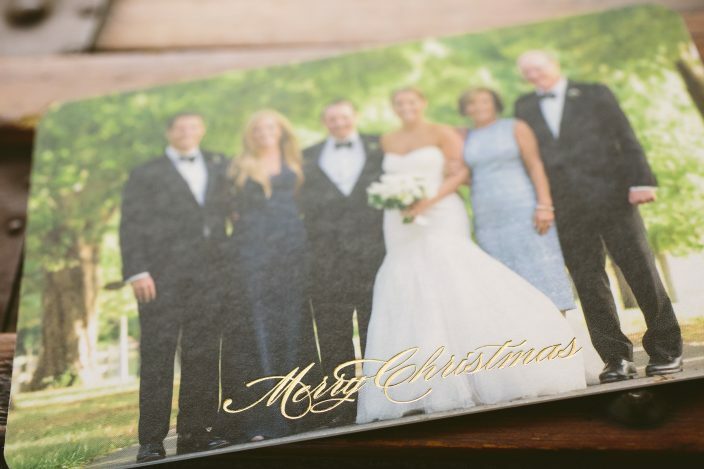 The fine print: 2 day design turnaround and 5 day printing turnaround only good on Smock custom holiday card orders – does not apply to wedding invitations or other social stationery orders. 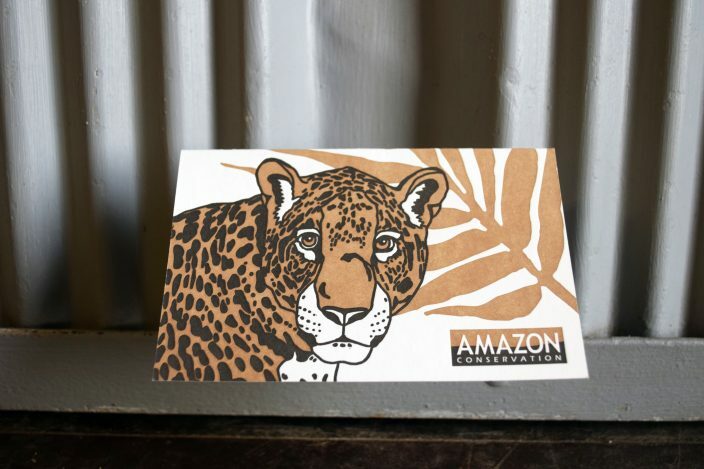 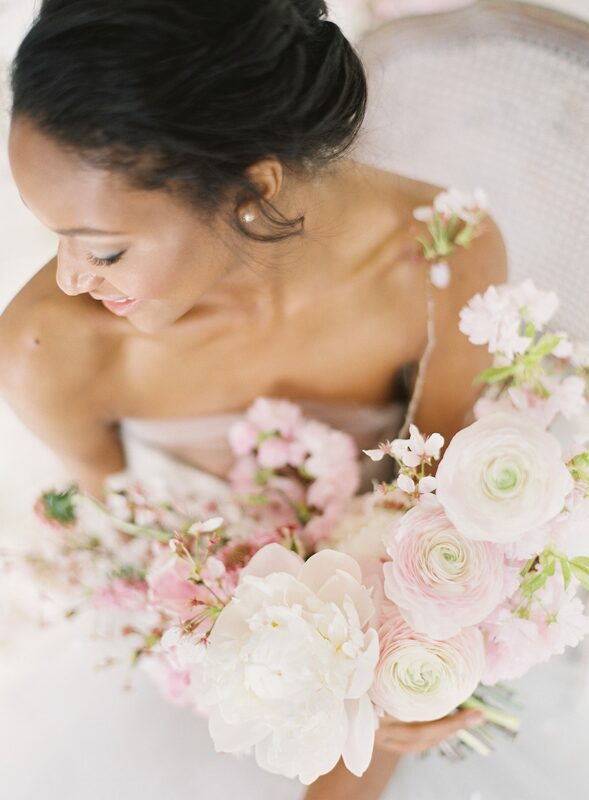 Offer cannot be combined with other ongoing promotions or discounts. 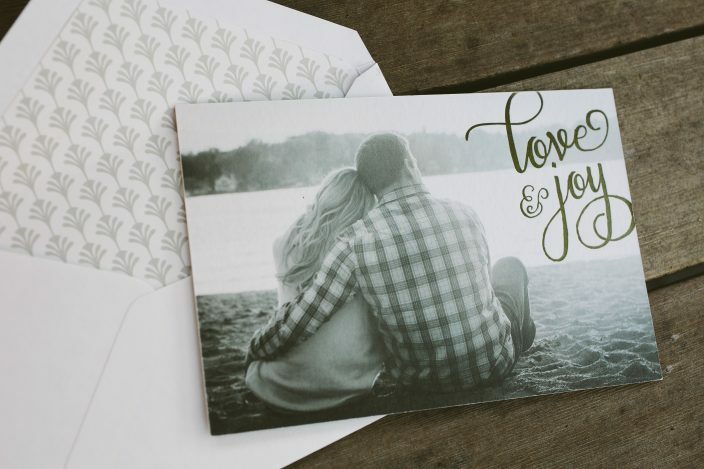 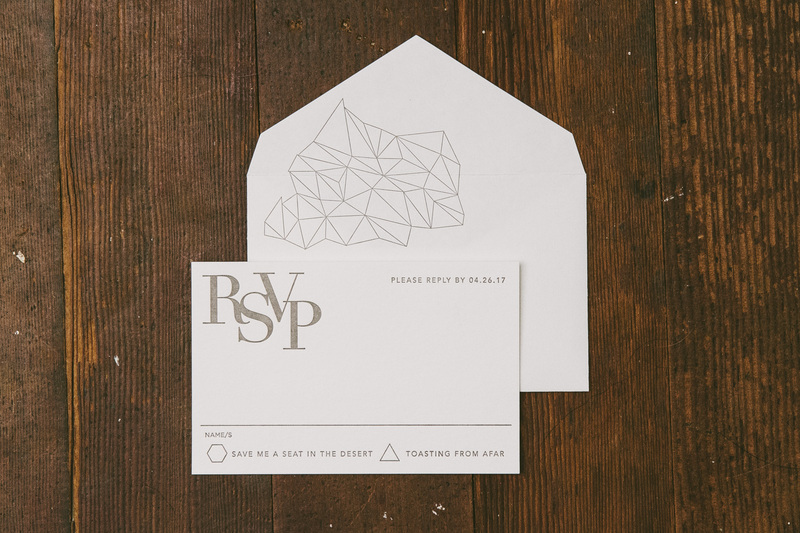 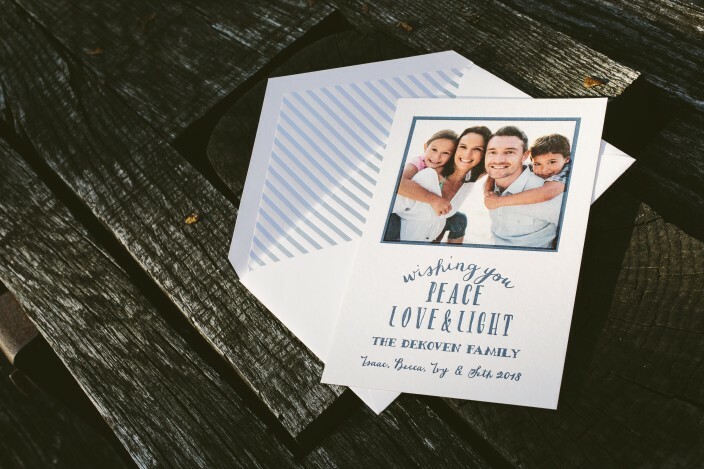 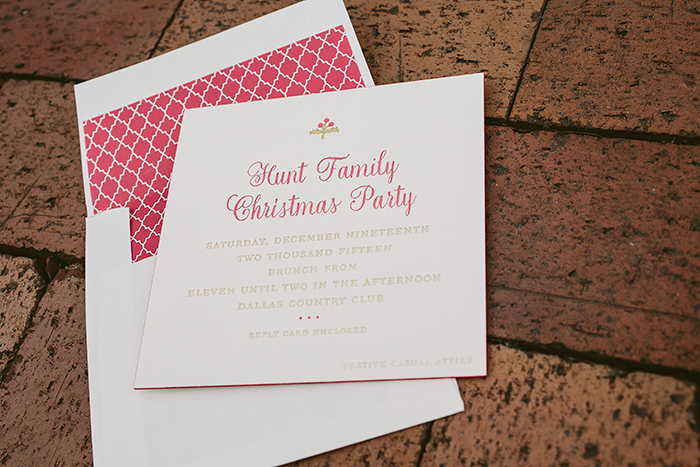 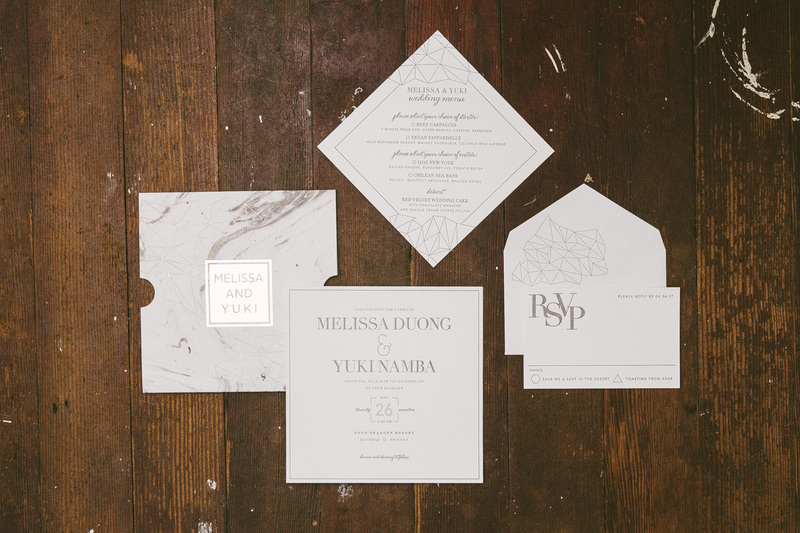 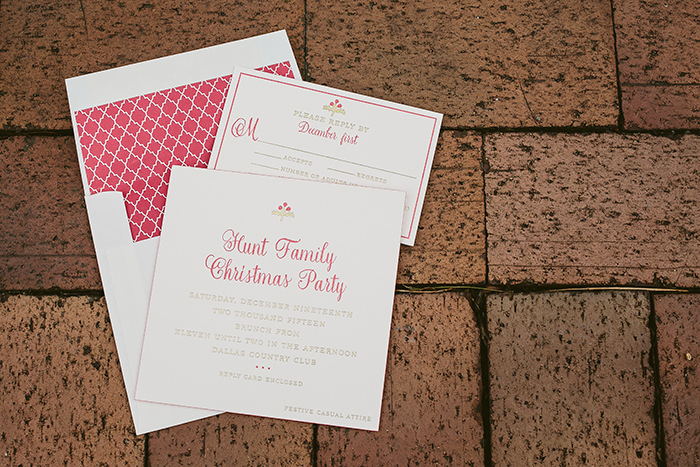 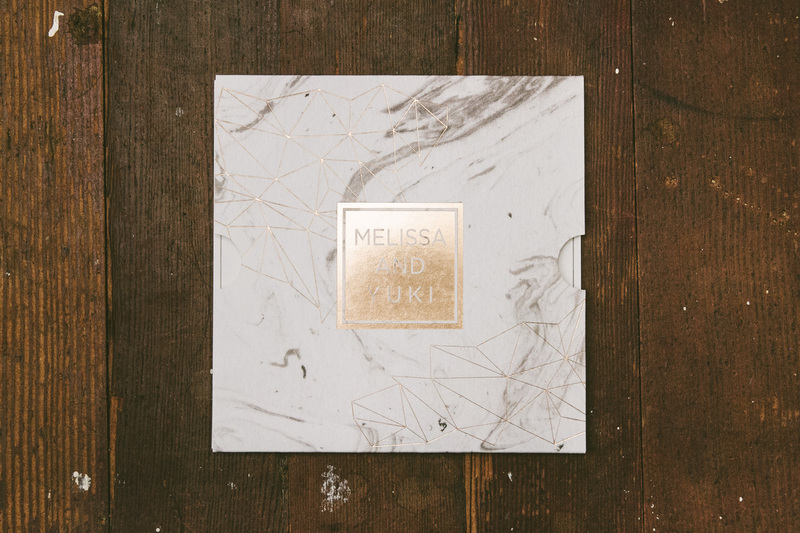 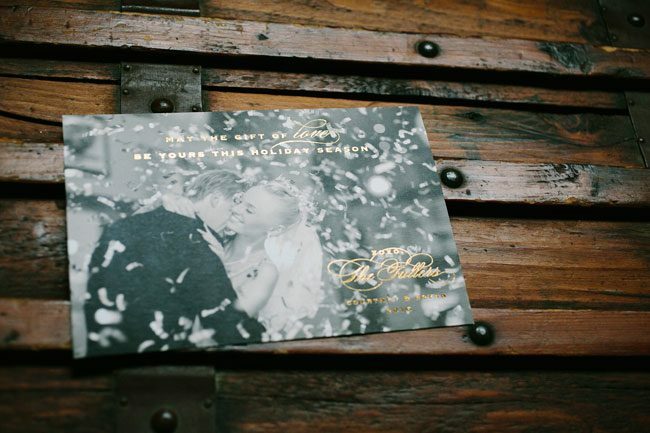 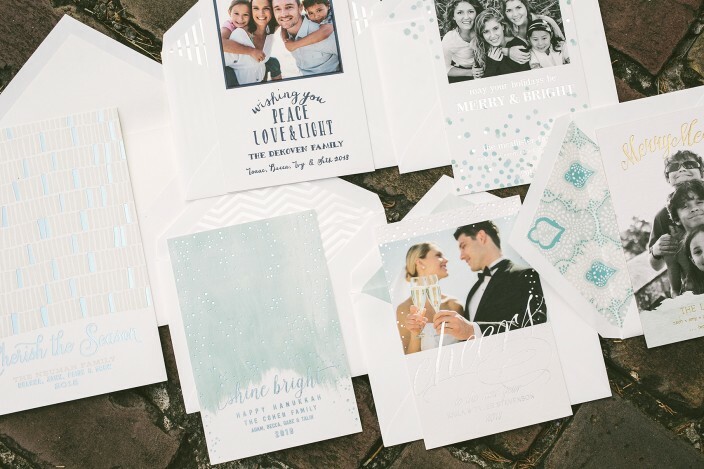 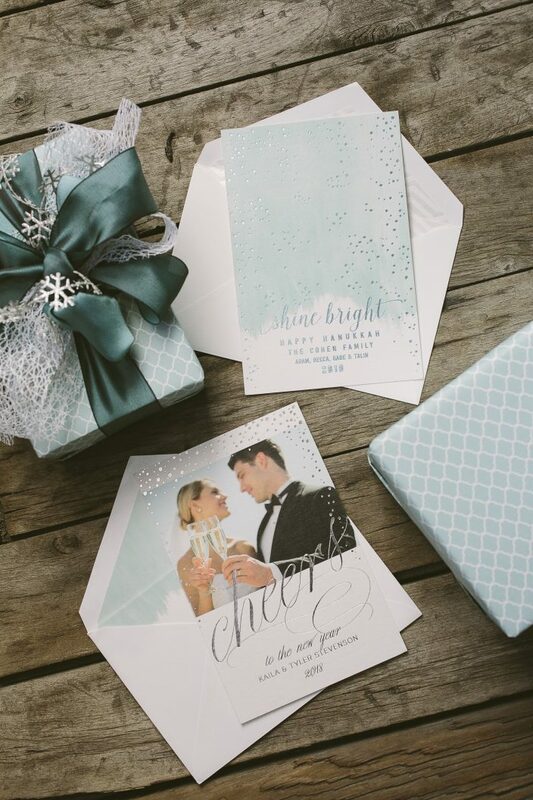 Letterpress is a beautiful fit for wedding invitations, but there’s just something special about adding beauty and luxury to a set of holiday cards. 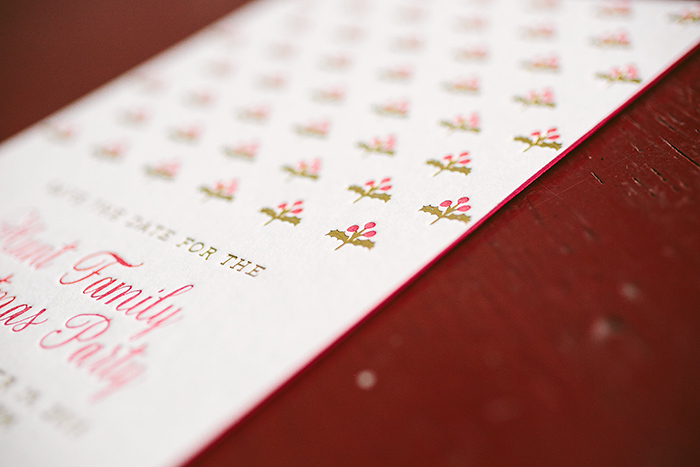 Gus & Ruby put together this lovely letterpress frame around what presumably will be a beautiful, happy family photo. 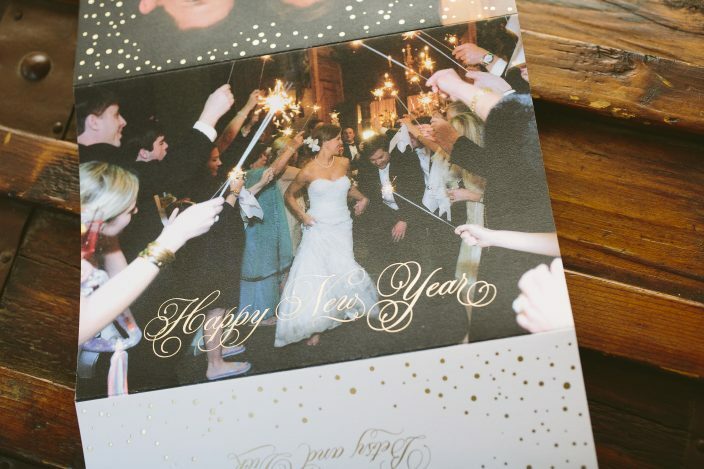 We can’t wait to see the 2013 version! 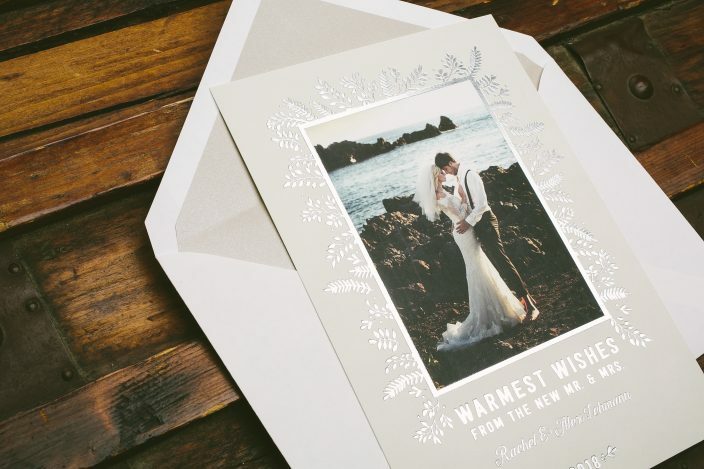 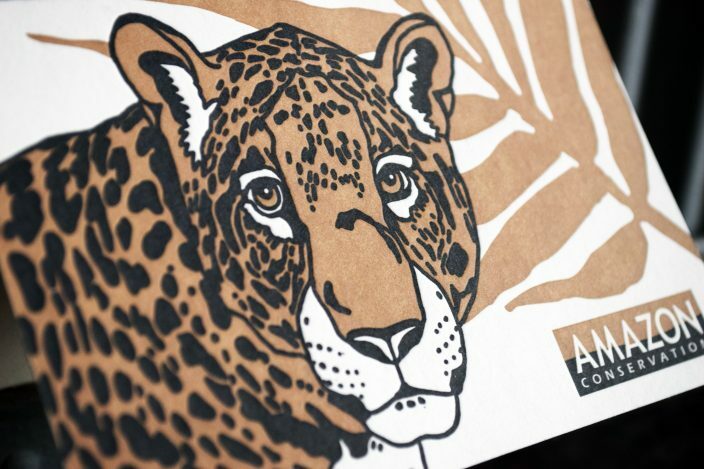 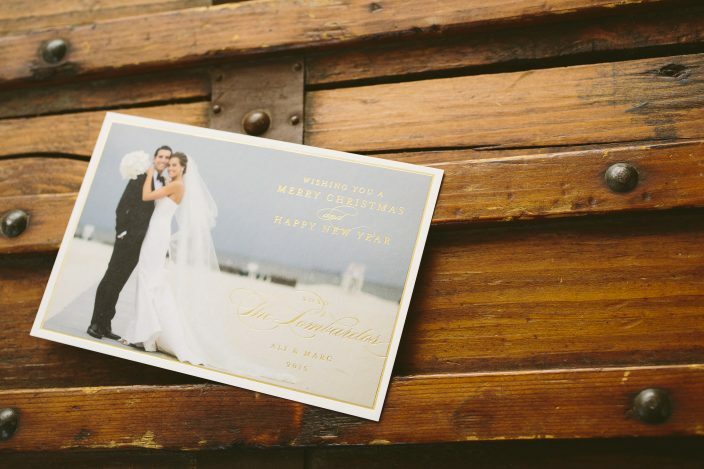 A non-traditional take on holiday cards, Urban Coast honors us with the chance to print their own set. 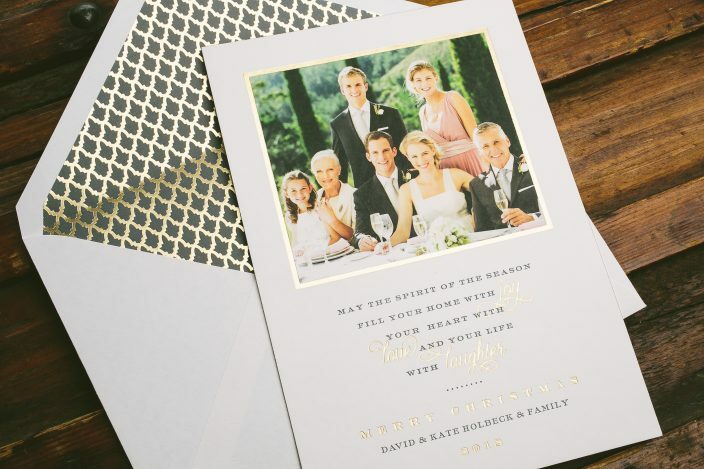 We love the combination of sand ink and gold foil and were very excited to watch this come off the presses!